His body rests. His spirit lives on. Father Al died at 7:00 pm, Monday, March 16, 1992, in his room on the 7th Floor of the Manila Girlstown building. 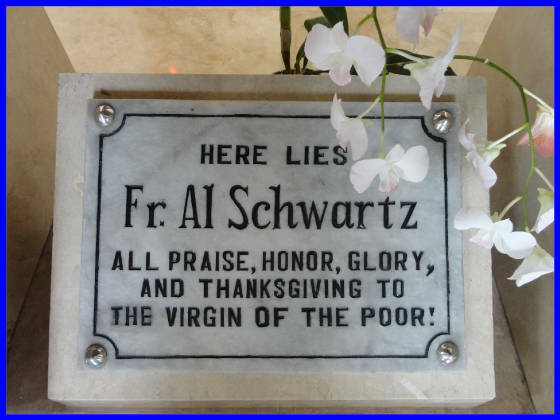 He was buried under the altar of the Chapel of the Virgin of the Poor built in Silang Girlstown complex. 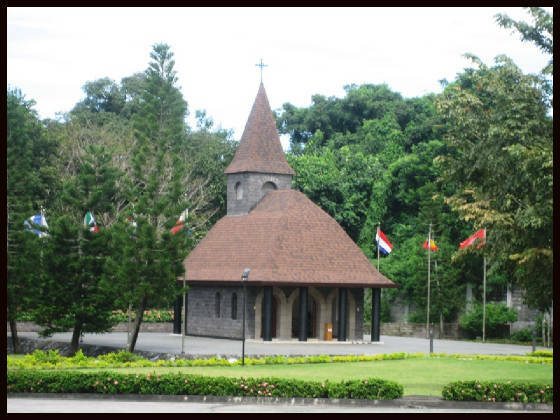 As per Father Al’s instructions before he died, the chapel, which is a replica of the Chapel of the Virgin of the Poor in Banneux, Belgium, was constructed, and his remains were placed under the altar of the chapel. 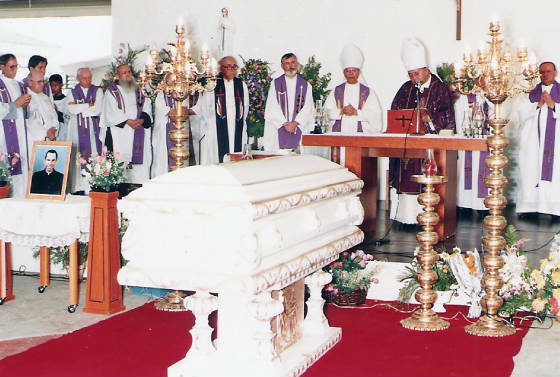 Another replica chapel was built at the Girlstown complex in Pusan on January 6, 1994, where Father Al’s second class relics were buried under the altar and consecrated on January 15, 1994. Father Al has gone to receive his reward, but not to rest, since he promised he would be working hard for his children on earth, with which he is complying every day. Fr. Al’s spirit lives on with the Sisters of Mary and the Brothers of Christ as his charity programs extended, after his demise, to Guadalajara (Mexico), Guatemala, Brazil and Honduras. First, he wished to become a priest. Second, he wished to become a missionary priest. Third, he wished to become a poor priest serving the poor. May his shining example stir in the heart of everyone the earnest love for God by seeing, touching, and serving Him in the person of the poor.